I am Erica Petty, the artsREACH Program Coordinator, and one of the Theatre Instructors on our team. I’ve been away on Maternity leave this past year, celebrating the birth of my second child, George. I am thrilled to now be back in the fold of all things artsREACH! artsREACH Instructors met earlier this week to ring in the new (school) year. At this time, we were presented with the dynamic new curriculum plans our team has been developing over the summer. And, oh boy, is it going to be a great year of workshops! I look forward to the Fall meeting every year because it is a time when our staff gets to shine in front of one another. We so often work in smaller teams, that any time we have a chance to be in a room all together, there is a valuable exchange of resources and ideas. We truly have an incredible team of Instructors and Assistants and I am constantly blown away by their wealth of knowledge, the time they spend researching new topics, and the diverse skills each of them brings to the table. The Visual Arts Team will be teaching Printmaking workshops with a theme of “Geometry, Shapes, and Patterns” to integrate math and repetitive patterns with art. 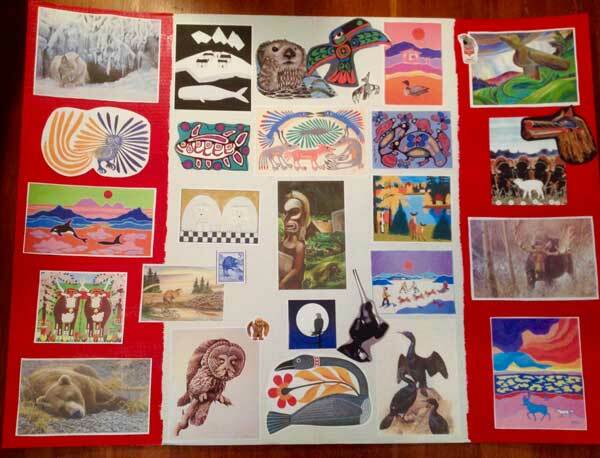 The Painting curriculum will focus on “Canadian Animals”, both real and mythical. The Dance Team has created a curriculum that explores the environment, with choreography and movement exercises inspired by the ocean, the changing seasons, and weather patterns. The Theatre Team will continue to explore a theme of Environment and Sustainability, using great resources like books by local authors and puppet making workshops that feature “up-cycled or re-purposed” items. We can’t wait to share these workshops with hundreds of elementary students across Greater Victoria, at the 25 local schools that we serve. 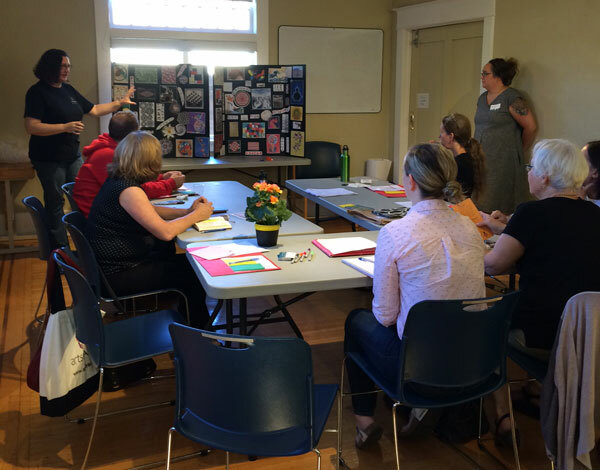 Left: One of our Visual Arts Instructors, Brigid Skelton, presents an Inspiration Board during our Fall staff meeting. Below: Inspiration board for the painting curriculum. End of School Year Wrap Up! A Message from our PresidentA Great Weekend of Fun: Our 2nd Annual Pop Up Shop!